Park Krausen last appeared at Actor’s Express in Fair Use by Sarah Gubbins. 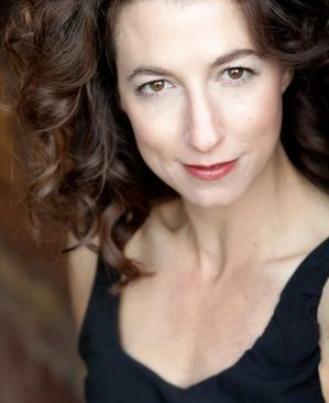 She has performed with Lincoln Center LRS, Hartford Stage, The Alliance Theatre, North Carolina Shakespeare, About Face Theater/ Chicago Dramatists, Theatre Emory, Out of Hand (core member) Georgia Shakespeare (associate artist) around the US and in Krakow, Paris and Montreal. She serves as Co-Artistic Director of Théâtre du Rêve where she recently appeared as Coco Chanel and is producing a collaboration with artists from Brussels, Montreal, Chicago and Atlanta to premiere in September 2015. She is also acting in 5Kings: an adaptation of Orson Welles Five Kings based on Shakespeare’s Richard I and II, Henry IV, V and VI to premiere in spring 2015 and then tour to Brussels and around Canada. Park holds a BA in theater and in French from Emory University and studied at Le Conservatoire National Superieur D’Art Dramatique (CNSAD) in Paris, France. Park splits her time between Atlanta and LA and wherever the wind, her heart or work takes her.